Make unboring credits for iMovie. Is there a better alternative to RollingCredits? Is RollingCredits really the best app in Author Tools category? Will RollingCredits work good on macOS 10.13.4? RollingCredits... Creating scrolling credits in iMovie is not difficult but it can quickly become a tedious and creativity-stifling experience. And the results can be pretty boring. One typeface, one style, one color... nothing to perk up what is already traditionally a ho-hum feature of most movies. But who says movie credits have to be boring? Version 1.3.2 for Mac OS X 10.4/10.5 is available here. Version 1.1 for Mac OS X 10.3 is available here. RollingCredits needs a rating. Be the first to rate this app and get the discussion started! With RollingCredits, you can make typographically stunning completely unboring credits. 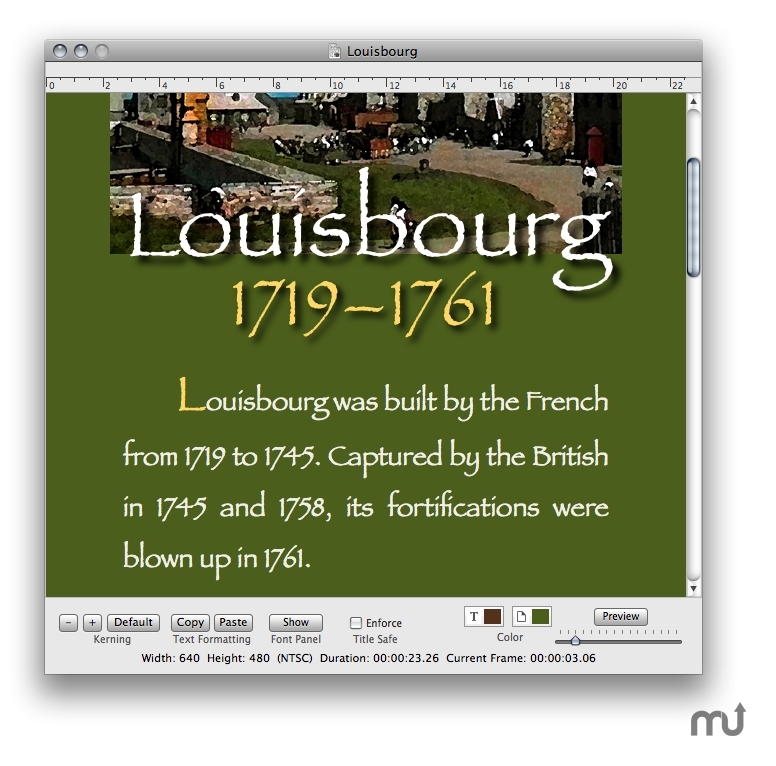 You can freely mix fonts, sizes, colors, and create beautiful drop shadows for your titles. You can even embed graphics into your credits. It's easy and it's fun. And you probably already know how to use the basic tools in RollingCredits. The RollingCredits Demo is a fully functional version. It allows you to create and edit RollingCredit files and create frame images and QuickTime movies. The only difference between the demo and the registered version is that the demo adds a watermark to the frame images and movies. When you register your copy, the watermark is removed. Any RollingCredit files that you have created will now produce movies without the watermark.